Marine Special Operations Team 8202 M.S.O.T. 8202 is a dedicated and respectable milsim group looking to bring the Arma 3 players unique and realistic gameplay while keeping it casual. We dedicate our group to the very real MSOT 8222 that served in Afhganistan. We hold ourselves to the highest level of professionalism while in game and enjoy a friendly and socialble community in our community. We are also accompanied by the 160th S.O.A.R. with their highly skilled pilots who provide transport and other miscellaneous supports for the SF community. Our members are always growing as a team but also as individuals. We look for others players who strive to do the same, and that can bring more to our plate than just the regular Arma 3 player. We have all sorts of different backgrounds from prior and current military, current first responders, and also just your average Joe who likes to get his game face on. We are actively looking for new members, if you are interested in seeing what we are about you can hop onto our teamspeak or check out our website in the links below. And if you are interested in applying you can do so on our website. Teamspeak 3 IP: DGS (Not kidding, it's literally just DGS) Website: https://deluxegamingsociety.net Discord: https://discord.gg/t2xsqYJ Email: msot@deluxegamingsociety.net JOINT OPERATION INFO: We are currently looking for groups who desire to do Joint Operations with other groups of high caliber. We can work alongside any form of group as MARSOC works along side of different foreign militaries as well as different SF forces and Infantry from the US. If you wish to discuss joint ops you can contact us in TS or send us an email. 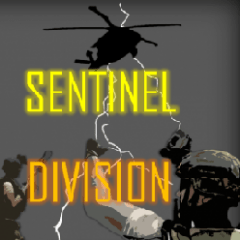 Leaders Needed: We are currently looking for a leader or two to head the infantry portion of this milsim, if you are interested, please stop by the teamspeak and talk to myself or "Rattle". Seal team 7 of the NSWG One is recruiting experienced Arma players. We are a serious mil-sims group based on the Navy's seal teams. We use many different RHS mods along with Ace and Ace 3 mods. We conduct various raids and missions throughout our campaigns. Our primary mission is to eliminate all threats that would seek to cause us harm. We strike with precision and skill. Weather it be a stealth mission or full fire, you can bet we will succeed or die trying. If you are interested in joining NSWG our teamspeak will be linked. Join the Teamspeak and hop into the recruitment channel. 173.234.27.145:10006 . Come check us out. We may impress you more than you realize. Marine Raider Company Delta Hello, Marine Raider Company Delta is a "Realism Unit" playing the military simulation game Armed Assault III. What that means is we do our best to emulate a Marine Raider Company organizational structure to the best of our ability and take realism while playing as far as we can go. While striving for realism, we have to walk a fine line between playability and doing things in a way that will be fun for the unit and members. Our goal is to efficiently and strategically complete objectives. We have taken many aspects of the Marine Raiders and made them our own; such as the rank structure and equipment. We use training documents to aid us in being the best virtual Marine Raiders we can be. From basic infantry to leadership classes, all of our material is created carefully, and we select the parts of real world documentation that we can use to aid us in creating our training. Let us be clear though. Though we emulate the Marine Raiders, we are in no way affiliated with them or are trying to get people to join the military. We are a virtual unit and nothing else. If you are interested you can find us at: TeamSpeak 3: 151.80.110.38 Unit Roster: https://docs.google.com/spreadsheets/d/1IEjHPRCC_RZeFJooZw-uWo53c0f16uTpiID7Gt-rcls/edit#gid=0 Kind Regards, Major Crowe, Delta Company HQ, Company CO.
Foxhound specializes in combined arms and small unit tactics, but we don't take ourselves too seriously and we get it done while having fun. We have a private server online 24/7 that is currently configured to run the Antistasi mission, but we run different maps, game modes, and are looking forward to PvP. We are active and there is always something going on, whether it's a coordinated operation or just a couple of shady guys working on perfecting the Irish car bomb. We have integrated Task Force Radio into our TeamSpeak 3 server and have our own workshop collection of mods in Steam, listed as FXHD in the Collections section. Check out our website, hop into our TeamSpeak, or submit an application to get in touch. 17th Airborne Division is recruiting!! 17th Airborne Division is recruiting!! Who are we? The 17th Airborne Division (17AD)is a multinational ARMA 3 â€˜milsimâ€™ group which takes its name from a real US Army unit, disbanded after WWII. We have members based in the UK, Europe, the US and the Middle East. We aim to create a relaxed but realistic environment without all of the â€œyes sir â€“ no sirâ€ nonsense that seems the norm with most milsim units. This is a game at the end of the day and although we formed 17AD to create a more structured and realistic environment to enjoy the game we try not to take the game or ourselves too seriously. That said, once our boots are on the battlefield and the bullets start to fly we maintain unit discipline, know our roles and focus on the task at hand. Structure 17AD employs a ranking system based on traditional military structures (Private, Corporal, Sergeant etc..) however these ranks are merit based and earned by showing leadership, aptitude, initiative and a willingness to get involved. Factors like length of service, your age, who you are friends with in the group or the quality of your jokes bear no relation to your opportunities for promotion. We encourage our members of all ranks to lead squads if they want to and we operate a fairly flexible approach to roles within the team. 17AD is quite a young group and we are still going through the process of assessing each memberâ€™s strengths and weaknesses and we will introduce more structured team roles going forward but if you have a particular preference and/or aptitude for a certain area or role that will be taken into account. 17AD Server 17AD have their own ARMA 3 public server which currently runs a custom version of Invade and Annex(Altis) and is open for anyone to join. We try to use realistic communication protocols when in the field and aim to employ realistic combat tactics as much as possible. To achieve this, we use Task Force Radio (TFR) which works through Teamspeak 3. TFR is compulsory for anyone wishing to join the public server, it is our means of communication and without it you canâ€™t talk to us or hear what is being said. Itâ€™s a great mod and really adds to the whole experience so itâ€™s worth the effort to install it. A link to a TFR installation guide is available below. We also run a couple of mods to enhance the realism of the battlefield experience, JSRS sound mod and Blastcore FX mod both of which are optional. 17AD may add mods to the server in time to enrich and broaden our field of operations however these will be clearly communicated through our community sites before they go live. We aim to have an additional server for our â€˜17AD group membersâ€™ up and running in the near future which will host our scheduled sessions, operations & training. More news on that to follow. Requirements Â· To be over 16 yrs old (exceptions can be made for outstanding candidates) Â· Own a legitimate copy of ARMA 3 (Apex and DLC content is ideal) Â· Have access to Teamspeak 3 Â· To download and correctly setup TFR (link to guide below) Â· A functional microphone Â· To be able to speak the English language to at least a basic level Â· To have a good attitude and be willing to work as part of a team Â· To be respectful to our members and other public server players Â· To be an active member of the team How to join Probably the best way to find out more about 17AD is to join us on our public server, run some ops with us and become familiar with the members and the way we play. You can also jump onto our Teamspeak server to ask us any questions you may have, leave a message in this thread, ask a question on our steam community page or get in touch using the contact details below. Details TS server address - ts3.woodsy310.co.uk 17AD server name - 17th Airborne Division Invade and Annex (find us on the server browser) Group page - https://units.arma3.com/unit/17thairbornedivision Task Force Radio installation guide We look forward to meeting you! We are the 1st Battalion Yorkshire Regiment, or [1YORKS] a group of gaming brethren that have set up a unit for three reasons; Fun, Teamwork, and Satisfaction. We have made the transition from ARMA 2 to ARMA 3 and are now looking for dedicated players to join the fun and ultimately enjoy everything that we and ARMA 3 have to offer. If you feel that you have what it takes to join a very considerate and team-built group, then we are just the right choice for you. Interested in joining [1YORKS]? We are currently recruiting for NCO's, Soldiers and Potential Officers. Think you have what it takes? Apply now! We are UK based and work off GMT (Zulu) timezone. However, we welcome players from all countries. We mainly play on our servers nightly and operations/trainings are held every Wednesday and Saturday, however, special arrangements can be made should not be able to fulfill them times. Sound like the unit for you? Visit our website @ www.1yorks.co.uk Join our Teamspeak server @ ts3.1yorks.co.uk See you on battlefield!